German manufactured, high quality, CE-marked. 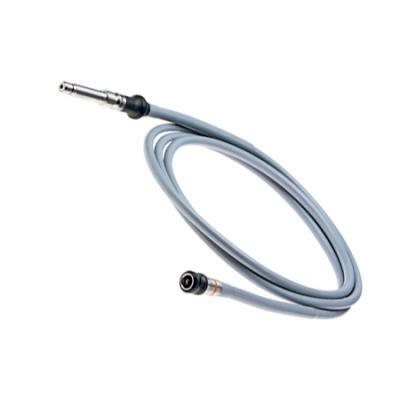 Standard leads temperature resistant up to 180°. Guaranteed to work with any standard halogen light source up to 250W. 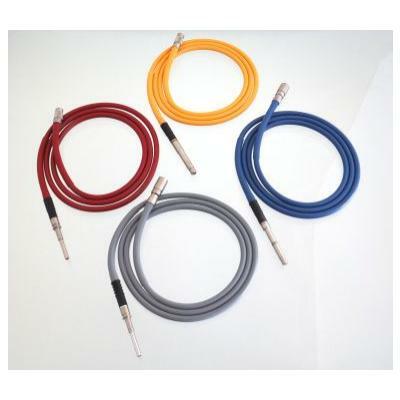 Strain relieved and protected by internal, highly flexible, stainless steel spiral and medical grade silicone hose. Standard colour is Grey. Also available in Black, Red, Blue, Orange, Green and Yellow. Resistant against crushing and strong bending. 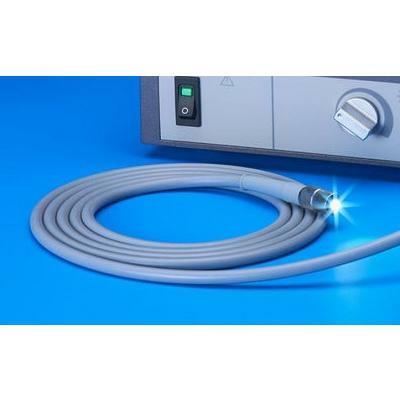 No electrical interference with endoscopy surgery units. Fully autoclaveable, 3min at 134°C.